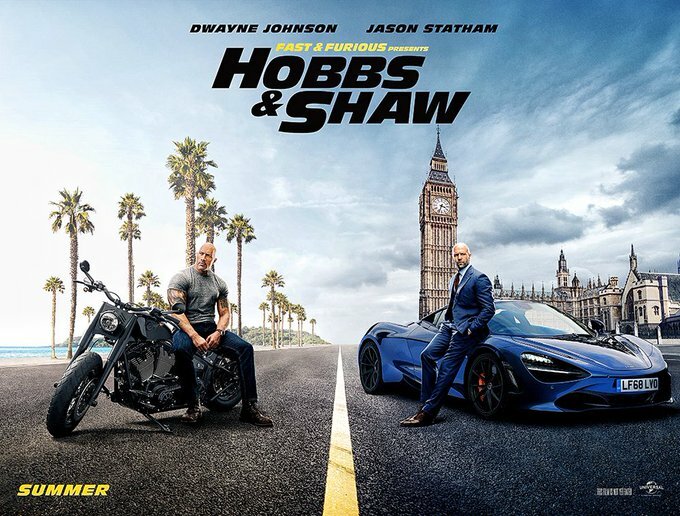 Hobbs & Shaw is an upcoming American action comedy film directed by David Leitch and written by Chris Morgan. It is set to be a spin-off from The Fast and the Furious series featuring two characters, Luke Hobbs and Deckard Shaw in the lead roles. The film stars Dwayne Johnson, Jason Statham, Idris Elba,Vanessa Kirby, Roman Reigns, and Helen Mirren. The film is scheduled to be released on August 2, 2019 by Universal Pictures.